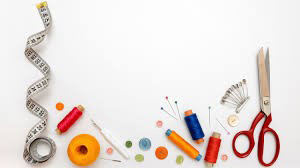 Creative Café – Familienzentrum Klara e. V.
Crocheting, knitting, sewing, stuffing, felting, baking, etc. are more entertaining in company. In our center, we tell the inside story: whoever has such skills, passes them on to the others. Whoever wants to learn something, asks the others. The kids play in the playroom with our interns. Thursdays, 3 p.m. – 5 p.m.